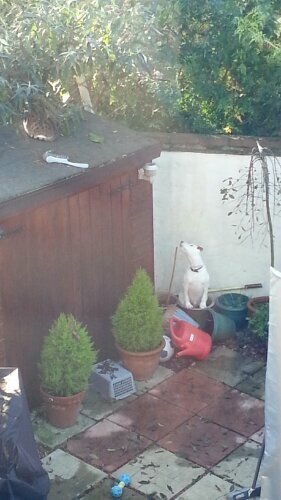 Chico has a nemesis, a mischievous cat that parks himself on our garden shed and teases Mr Cheeks knowing he is safe and out of reach. I have called him Dr Cat; an evil mastermind and a leary little git who seems almost cocky in how he taunts my dog? 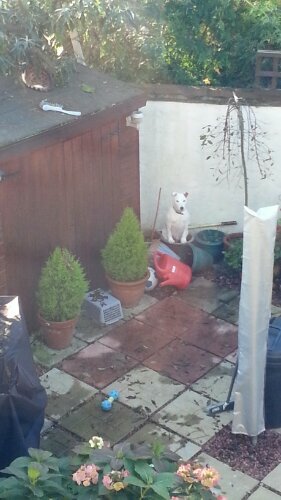 Cheeks has come up with a cunning plan though, he sits in a plant pot and tries to blend in to the white wall at the end of the garden, waiting for Dr Cat to slip up! 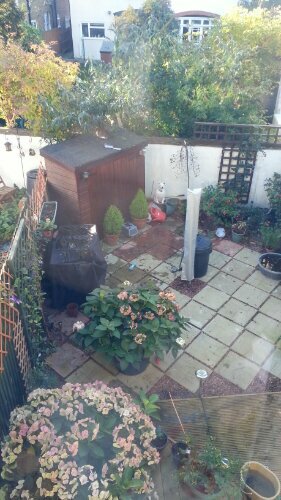 This entry was posted in Chico and tagged Dr Cat on November 14, 2012 by Kevin.